The Hirshhorn Museum and Sculpture Garden in Washington, DC, has bought Yayoi Kusama’s reconfiguration of her very first Infinity Mirror Room, Phalli’s Field. This 2017 version of the original 1965 room appeared in the recent six-city North American touring exhibition organised by the museum, Yayoi Kusama: Infinity Mirrors, which drew sell-out crowds in every location and ended on 17 February at the High Museum in Atlanta. Its popularity helped send the Hirshhorn’s visitor numbers in 2017 past the 1 million mark for the first time in nearly 30 years. “The exhibition had such an impact on the museum, and we began to think about adding something to the collection,” says Melissa Chiu, the director of the Hirshhorn. The museum already had three Kusama works, the recently-acquired Pumpkin (2016), a painting and an early sculpture. Phalli’s Field, Chiu says, is “art-historically important” and complements the collection’s strength in 1960s works. The museum purchased the installation for an undisclosed sum from Kusama’s Tokyo gallery, Ota Fine Arts. Chiu says the acquisition will go on view at the Hirshhorn in 2020. When Kusama—who turned 90 last week—first exhibited Phalli’s Field at the Castellane Gallery in New York in 1965, it was deemed a breakthrough. For two years she had been sewing and stuffing dozens of cotton protuberances, painted with red polka dots, attaching them to chairs and other objects, and grouping them to evoke a terrain of phalluses. But the labour was intensive, and she alighted on the idea of using mirrors to achieve the desired effect. 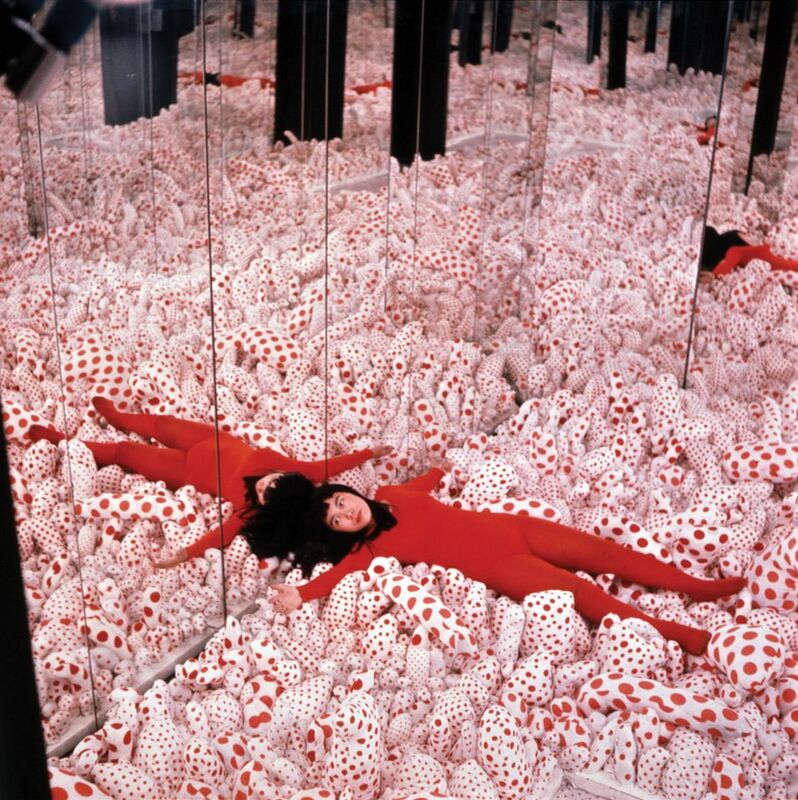 “The stuffed protuberances—which were multiplied through infinite reflection—enveloped the viewer,” writes Catherine Taft in Phaidon’s 2017 revised monograph on Kusama, “creating an almost psychosexual encounter with one’s own body and image.” Photographs of the 1965 installation show the artist immersed in the work. Kusama reconceived Phalli’s Field, which measures roughly 15ft by 15ft by 8ft, for the North American tour, displaying it in a closed room instead of an open space, Chiu says. There are two other editions of the work: one at the Museum Bojimans Van Beuningen in Rotterdam and another at the Fondation Louis Vuitton in Paris.